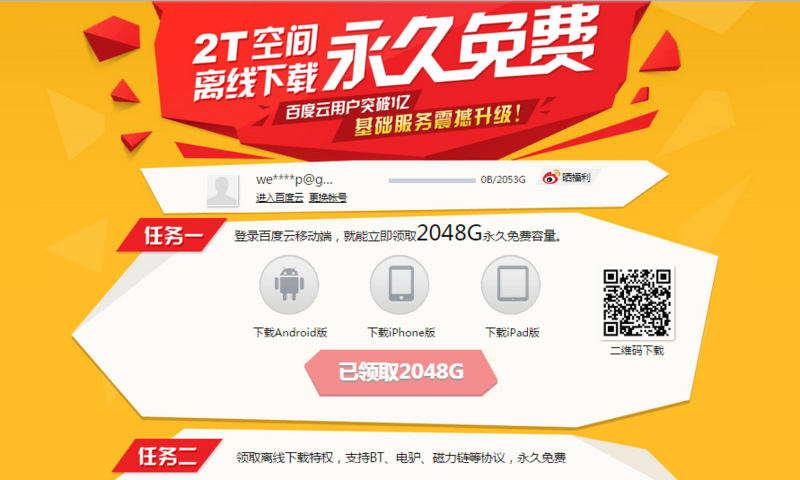 Baidu, one of the leading web services company in China with the fame of Baidu web search that rivaled Google, is offering 2 TB (terabytes) of permanently free cloud storage space for life through its Baidu Yun or Baidu Cloud cloud storage service, with unlimited bandwidth for upload and download. Surprise with the huge amount of online disk space on offer? That’s the result of ongoing China’s cloud storage ‘war’, which saw cloud storage service providers throw in up to 10 to 26 TB of free storage space as the bait to lock in the users to their ecosystem. What’s the catch? Depending on who you want to believe, your files may be not private or secure after all. They may be subjected to eavesdropping or hacking, but don’t NSA do the same? In addition, as the servers are mostly in China, the transfer speed may be slower. And possible deal breaker, everything is in Chinese. But you can always use online translation service to perform translation on the fly. Comparatively, Google Drive is charging $9.99 a month for 1TB of cloud storage space, and the same amount of disk space costs $6.99/month in Microsoft OneDrive / Office 365 and $9.99/month in Dropbox. In addition, Baidu Cloud, or more specifically Baidu Pan or Baidu Web Disk or Baidu Drive (Baidu Cloud hosts a range of services) also allows many advanced features, such as offline downloading. Baidu Pan can download any files via BitTorrent, eD2K, HTTP, HTTPS and FTP automatically and directly to the Baidu Pan cloud storage, without the need of user staying online. And you can stream or play the media directly from the cloud. 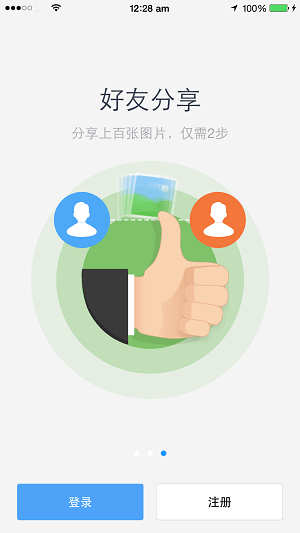 Signup and create a Baidu account at https://passport.baidu.com/v2/?reg. Enter email address, password and the Captcha. Then hit the blue “Register” button. A verification email is sent to your mailbox. Open the link in the URL to verify your email and complete the registration. 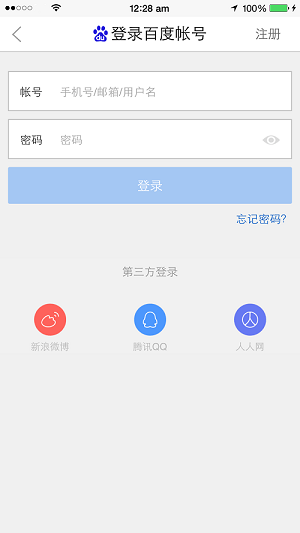 Open the Baidu Yun mobile app. Tap blue “Log In” button. Then, sign into your account with the registered email and password, and possibly Captcha. Then, hit the blue “Login” button. Go to the following URL to confirm that you’ve claim the additional 2 TB (2048 GB) of cloud storage: http://yun.baidu.com/1t. If it’s not, click or tap on the red “Claim 2048G” button. Together with the default 5 GB allocated to all Baidu Yun account, you will now have 2053 GB of free Baidu Pan cloud storage. That’s it. Enjoy the 2 TB of free cloud storage. Access the Baidu Pan cloud storage at http://pan.baidu.com/.